Examples of popular styles for black hair include curly afros, different versions of the pixie and ponytails. 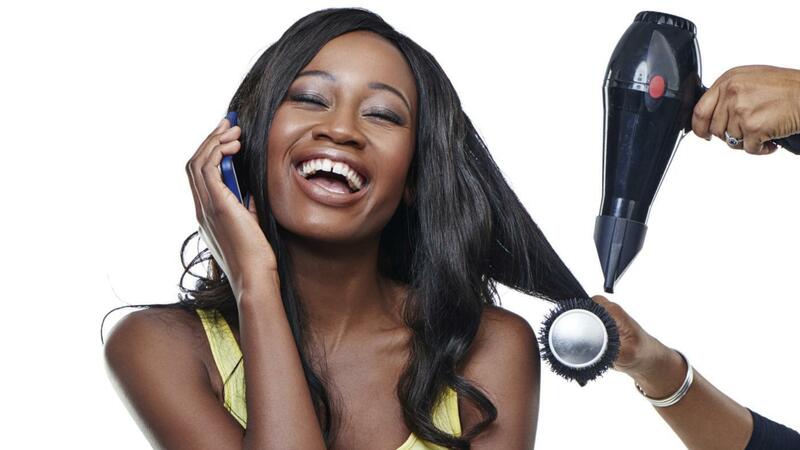 Many women like to get weaves to make their hair longer or add volume and texture. As of 2015, an updated version of the afro is popular. Short to medium-length hair is cut in uniform layers and left naturally curly. Different versions of the pixie are popular. One adaptation made popular by singer Rihanna leaves the hair long on top, while the sides and back are short and neat. Another version was made popular by actress Halle Berry, who often sports a pixie cut with layers that are medium-length and choppy. Ponytails are a classic. They are typically either pulled high at the crown or low at the nape. When the ponytail is gathered at the nape, backcombing is used to give the top and crown height. Long, wavy hair in the fashion of singer Beyonce Knowles is popular. The look is often achieved with hair extensions. Some women like to have straight hair woven into their hair, while others opt for spirals, curls or braids. The weaves stay in for months at a time, and women commonly style them into ponytails or buns for a different look. What Are Some Short Hairstyles for Black Hair? What Are Some Good Short Haircuts for Black Hair? What Are Some Good Short Haircut Styles for Black Hair? Where Can You Find Photos of Hairstyles for Black Hair?